The Padded Headboard Cover is a carefully hand stitched accessory for our handmade wooden beds, offering extra comfort and a warm welcoming feel to greet you from a day of work. The Padded Headboard Cover is our handmade answer to a luxurious extra for adding beneficial comfort to your existing headboard. There will be no more odd lumps, bumps or uncomfortable parts with the Padded Headboard Cover. Easy to attach and fold away when not required, it’s the solution to ultimate relaxation. 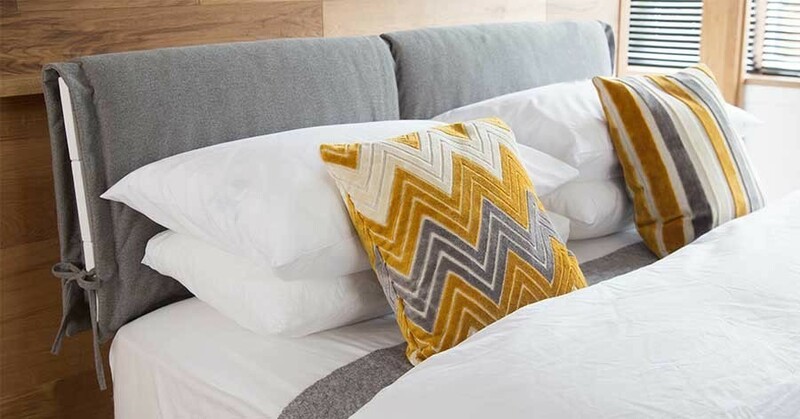 Using a range of supreme quality materials, to deliver only the best quality product, the Padded Headboard Cover is expertly handmade in the UK by a team of textile experts. Available in 8 stunning fabrics, suited to any home interior, you can select a colour to suit the mood you’re striving to create. The collection includes our calming stone, subtle dew and cool white all bound to add atmosphere to your bedroom. Making the Padded Headboard Cover truly your own is simple. The Padded Headboard Cover is soft and comfortable for those looking to convert their existing headboard into something different. No longer does time need to be spent arranging numerous pillows for comfort as the Padded Headboard Cover is always ready for use. The Padded Headboard Cover is also a design feature, which can further improve both the look of your bed frame while bettering the quality of your sleep. Which beds can I use the Padded Headboard Cover (Double) with? This Padded Headboard Cover has been designed to fit our low beds which feature a small headboard. This includes this Low Oriental Bed, Low Tokyo Bed and Low Tokyo Bed (Space Saver). The Padded Headboard Cover is quick and easy to attach, making the transition simple. Please note the price of the Padded Headboard Cover varies according to the size of your eligble bed frame. 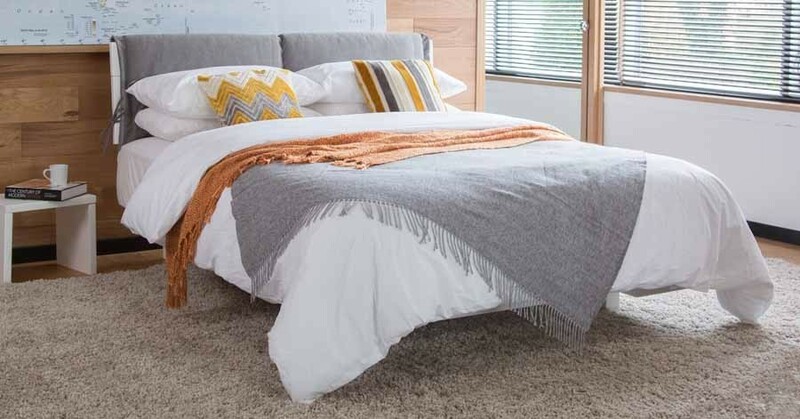 If you're unsure if the Padded Heaboard Cover will fit your bed frame, please enquire with our friendly customer service team through email at hello@getlaidbeds.co.uk or call us on 0207 183 5464 and we can advise you.